Many businesses state on their websites, social media, and other outlets that they are proud to be independent – and we know exactly what they mean! This blog looks at what it means to be independent and how that transfers to giving clients and potential customers the very best service they can have. What does independent actually mean? The online Oxford dictionary defines independent as, “Free from outside control; not subject to another’s authority”. This sums up many businesses, those that have stayed true to their roots and EJM is one of them! In a world where it seems a daily occurrence to hear about a take-over of another massive company for multi-millions (making an even bigger company and monopoly), we can almost become immune to the news. By being an independent business can be a real factor in potential customers considering using the services of any company. So, what does being an independent business mean to EJM? Can make our own decisions – without having to put them through another party. Use the suppliers we find the best and are most reliable – this also means the parts we use on installations may not be the cheapest, but they are built to last! The issue with many larger non-independent companies is they are tied to certain suppliers and product manufacturers. While this may mean your parts may be cheaper, it is because of their larger buying power. Of course, the larger companies need to make a profit, so they may not always go for the best in quality of parts! There is a worrying trend with massive companies that instead of a customer, you are simply a number. At EJM we pride ourselves on our customer service so this will not happen, being independent means we can deliver the service you would expect from a business that has been trading for nearly 40 years! Will it really benefit us as clients (or potential customers)? Yes, it will – and hopefully, it already does! We want to keep our customer service personal and it’s our ethos to put you at the forefront of everything we do. We know at the very heart of our business is our clients, without whom we wouldn’t have a business! Individual and personal care is everything and we know that no two jobs are the same, so each project is specifically designed to encompass the needs, budget, and requirements of the client. 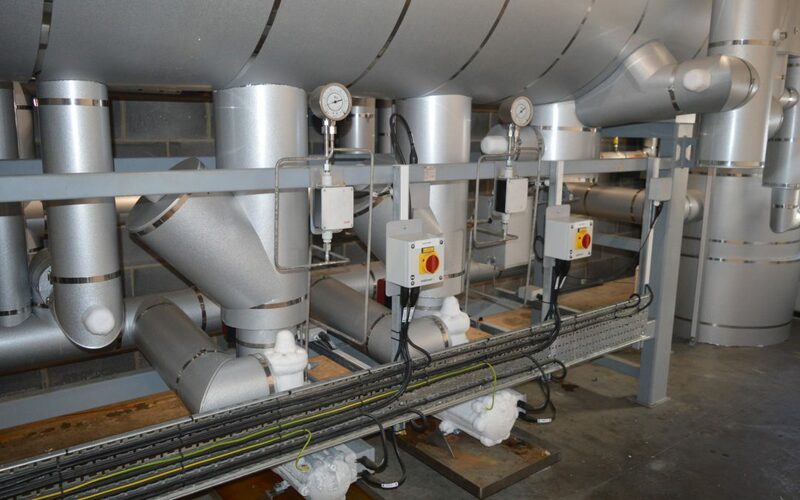 We tailor make every project whether an ammonia refrigeration service, simple cold store, or a ventilation and extract installation. We always take into account the space available and what the project needs to achieve – we won’t install equipment you have no need for. So, us being independent really does benefit you, we need to be on top of everything we do, as we have no-one above to help! We work right across the UK as a national contractor and a testament to the service we provide is the repeat clients we have. Being independent sounds great – what do I need to do next? If you have a project in mind and have decided that as an independent company with our commitment and dedication to projects interest you, the next stage is for us to discuss all your requirements. Our friendly team will speak at a mutually convenient time and together we can deliver exactly what you need. Working together is incredibly significant to us – we are not here to tell you what to do, it is your requirements as a business that is important. The best projects work well with co-operation and careful planning. For example, you might already be in production and any downtime will affect your output – no business wants prolonged or delayed productivity. Working as a team we can implement a live production site into the plans, keeping any downtime to a minimum. A non-independent company might find this more challenging as they are costing for the quickest completion in the leanest timescale – to keep their head office happy and profits higher. A discussion is the key and the most important early stage of your project, and something our team is immensely skilled at – investigating every avenue to get the installation off the ground without a hitch and within your budget. From this blog, we hope you have a good understanding of why we have remained independent and all the benefits it can bring. Our number one priority is always our customers and with over 200 years of experience between our engineers and being in the refrigeration market as long as we have, we are pleased to say we know a thing or two! Please get in touch with us about your project, whether it is industrial refrigeration, commercial refrigeration or air conditioning, our independent team is ready for your call.